Who said a packed lunch has to be boring. 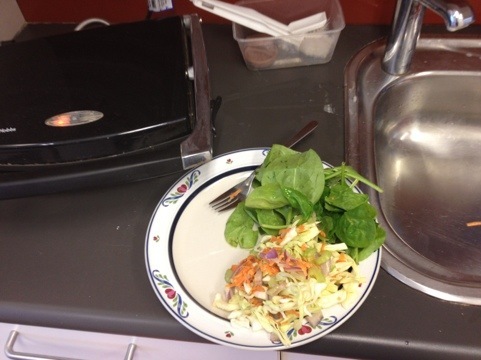 If you’re lucky enough to have a sandwich press in the office, you can have a lunch like this. It takes a little bit of effort to prepare. 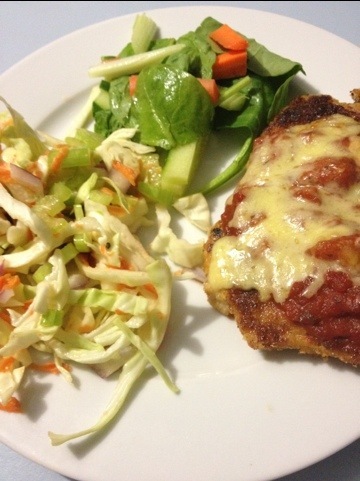 It really helps if you have a craving for chicken parma the night before and are schnitzeling chicken anyway. 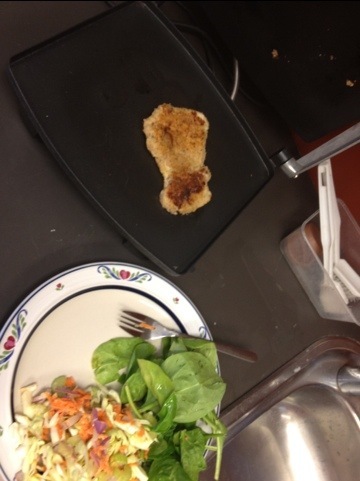 So how to schnitzel a chicken. In one bowl beat an egg. In another pour in breadcrumbs. Cover your rolling pin in glad wrap (so all the nasty raw chicken doesn’t seep into your wooden rolling pin – I don’t know if this is actually a thing but it helps me sleep at night), and take all your frustrations out on an unsuspecting chicken thigh. Dip the beaten chicken thigh into the egg, then into the breadcrumbs (both sides), then into the sandwich press. 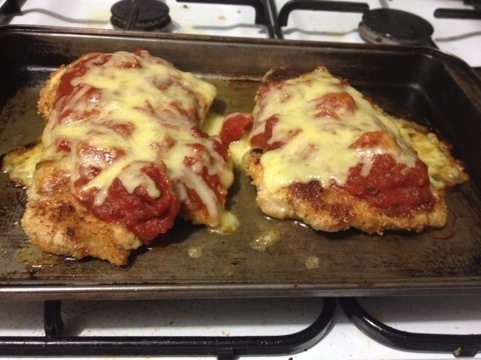 You can put the schnitzeled chicken into a pan and cover with tinned tomatoes and cheese before plonking it in the oven. You can put the schnitzeled chicken into a plastic container for eating at work. So here’s the chicken parma and here’s my work lunch. I like to heat up my pre-cooked schnitzel in the sandwich press, but I suppose you could eat it cold or pop it in the microwave.